All of us know that we should exercise, and this blog post is not going to cover all of the health benefits of being active or guilt-trip you into enrolling at a gym, spending massive amounts of time working out, or starting a strict, perfectly planned routine. While having an exercise protocol can be very beneficial - having a check list ensures that you're covering all aspects of fitness (agility, strength, endurance, etc. ), can make a work out less overwhelming, and is arguably necessary when training for an event - it can also make working out seem like a chore, or one more thing that needs to be done or you'll feel guilty about it later. Enroll in a fun class: Did you always want to learn to dance, do martial arts, or become a yogi? Find a beginner class that fulfills a deeper desire while introducing you to new people. You'll make friends, feel accomplished, and actually look forward to attending. This will be individual to you (as will all of these suggestions); don't start a weight training class when you know you hate weight training. Weight training obviously has great health benefits and eventually should be incorporated into your workout routine, but for now start with something you know you'll love. Join a team sport: Do you have fond memories of playing a sport when you were young? Do you miss the camaraderie that comes with working with others in a competition? Recreational sports can make exercise seem less daunting as most of it is done while you're laughing with teammates and focused on the goal of winning. Search for leagues through your church, gym, or city, or look through Meetup.com. Gather friends together to make a team, or sign up as an individual to be placed on a team and meet new people. Enlist a workout buddy: Arrange "exercise dates" with friends to keep each other accountable and have fun while you work out. These dates can involve meeting in the gym, going on a bike ride, or hiking and can include stopping for a healthy bite or a cup of tea afterward as a reward. Sign up for a race: Knowing that you've entered into a competitive event can motivate you to complete workouts that you might not find fun in themselves. When you're not in a workout mood, you can visualize yourself crossing a finish line amid a crowd of people and suddenly find the energy to exercise. Incorporate exercise into your daily habits: Resistance training doesn't need to mean benching heavy weights at the gym. Do a few crunches in bed before you get up in the morning or do calf raises while you brush your teeth to lightly work out your muscles consistently. It's really easy to fit in squats, shoulder raises, etc. throughout the day when you think of it as the exercises only take a minute or two. Start looking for little spaces in your daily routine and filling them with simple movements. Get outdoors: When's the last time you took a leisurely stroll, not counting steps or feeling pressured? 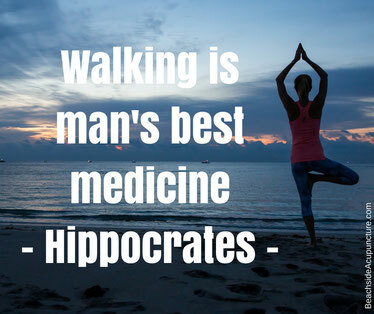 Walking can be relaxing and interesting when you get out of the "exercise" mindset. Do you love gardening? Stop and look at your neighbors' flowers while you're walking through your neighborhood. Updating the exterior of your home? Let yourself gaze at the houses on your route instead of being focused on your steps, pace, heart rate, etc. We use walking as an example here because it's the easiest activity you can do, but if you prefer cycling, kayaking, running, or something else instead, go with that. The idea is make a basic form of exercise an enjoyable, sensory experience instead of seeing it as something that a chore that needs to be done. 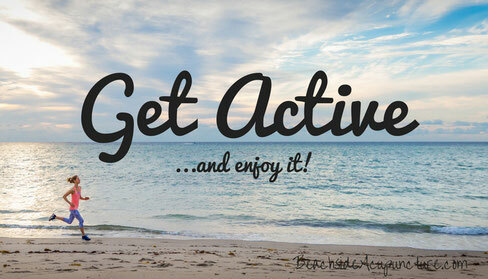 Do you feel inspired to be active? We hope so! Eventually we'd love for you to add weight training, stretching, cardio, and all of the other aspects of a well-rounded exercise routine to your workouts, but when you're feeling unmotivated, keeping track of all of that can induce stress. Switch your perspective to "physical activity is fun" by following our tips, and soon your body will crave more activity, including the stuff that might not sound fun right now. Find what excites you, and remember that even a small amount exercise is better than none at all.